The world of industrial production is evolving rapidly – and Motek is keeping pace! Visitors at the 38th Motek international trade fair for automation in production and assembly from 7 to 10 October 2019 will be provided with answers to their questions about process automation solutions which can be implemented in a practical manner. The conventional factory needs to be transformed into a smart factory – but how? Motek 2019 will demonstrate to its expert visitors that industrially practical and thus future-proof solutions are already available to today’s and tomorrow’s customers and users. Motek – and only Motek – presents the entire spectrum of rapidly changing process automation. Nowhere else are technical trade fair visitors able to gain such a comprehensive overview of current products and systems covering all aspects of automation in industrial production and assembly – in particular since buzzwords like digitalisation and networking are cause for uncertainty in many cases. In any case, they represent a tremendous upheaval for everyday industrial life, and thus the process sequence trade fair in Stuttgart is a “must-attend” event for all design engineers, users and production managers who are seeking practical solutions for modern industrial production and assembly. As has always been the case in the past as well, trade fair promoters P.E. Schall GmbH & Co. KG organise Motek in a strictly application and practice-oriented manner. Expert visitors can successively work their way through the various issues of production and assembly automation – beginning with receiving and including all process steps such as quality assurance, identification, packaging, order picking and intra-logistics – or they can address a single specific issue in a targeted fashion. The trade fair structure is consistently aligned to every day manufacturing life and assures quick orientation and minimal leg work. 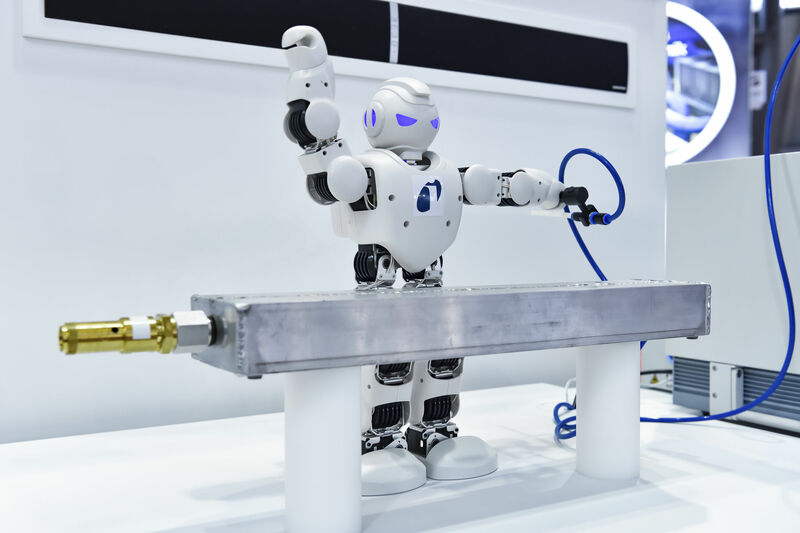 Assembly systems, handling technology, robots, joining and screwing technology, material flow and conveyor systems, measuring and test technology are presented to the trade fair guest as well as drives, controllers, sensors and software. Design engineers and users will find basic systems, details and components at Motek, as well as interdisciplinary approaches plus interlinked and networked systems along with software and industrial communication. But not a single product or system stands alone anymore – comprehensive integration is in demand as of immediately! Motek 2019 will demonstrate that this too is not just a buzzword, but rather an implementable reality. Integrated, practical, productive – Motek is traditionally pragmatic. And this is why the Bondexpo international trade fair for bonding technology will be held concurrent to the Motek industry highlight for the 13th time. Both trade fairs come together as a mirror image of industrial manufacturing practice which is undergoing highly dynamic change. The trade fair team is expecting roughly 1000 exhibitors on 63,000 square metres of exhibition floor space. Assembly automation enthusiasts can keep themselves up to date via Facebook, Instagram, YouTube and of course the trade fair website at: www.motek-messe.de.